The Primary menu is either located on the right of your header. The menu font and style can be edited on your theme options >> menu settings page. This menu disappears for mobile and is meant to be replaced by setting up a Mobile Menu. The mobile menu is only visible on screens smaller than 979px. It is designed for mobile devices and tablets. It appears when the primary and secondary menus disappear. The topbar menu is located in the topbar on the left side. This menu doesn’t not change for mobile devices so use caution when adding a lot of items to this menu. 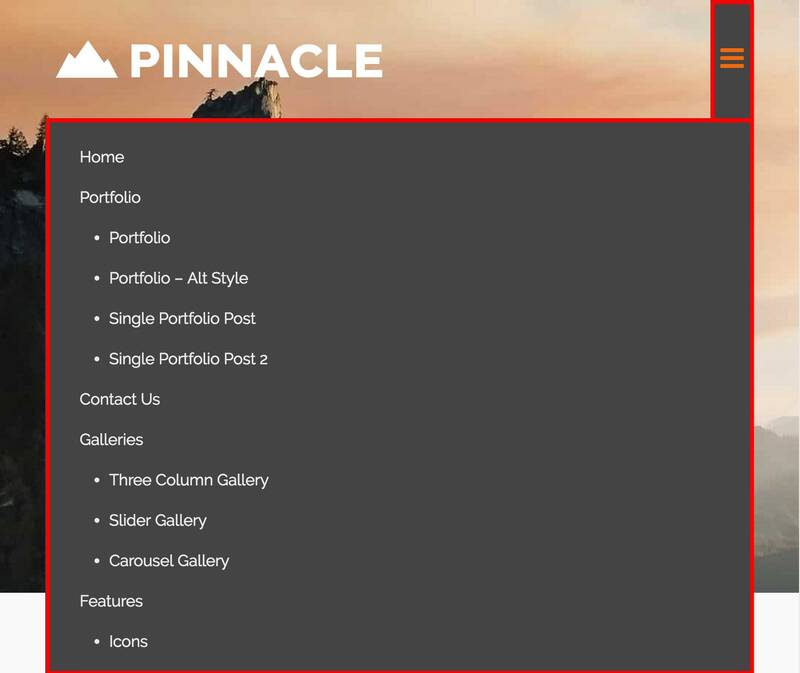 The footer menu is located in the bottom right corner of your site. It is not designed to be used with submenus.